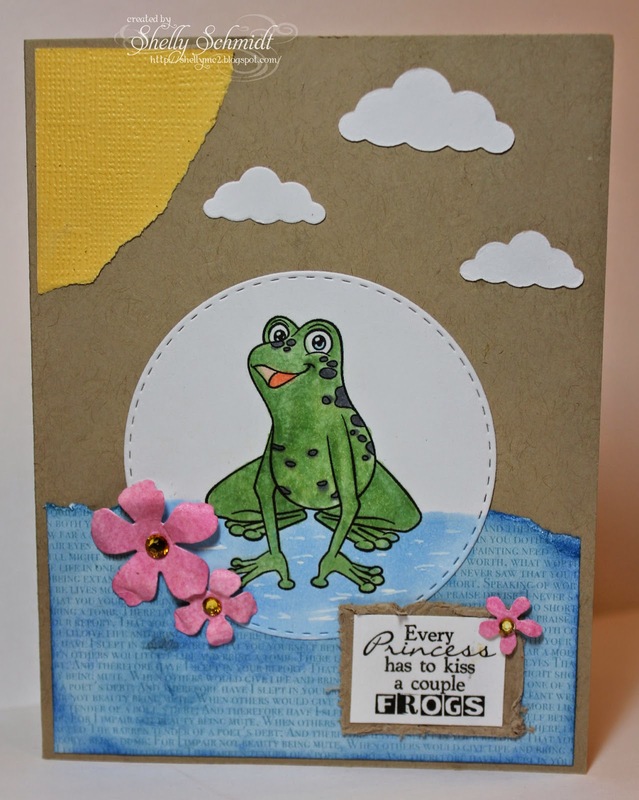 You still have time to enter the Paper Piecing Challenge at SweetStamps this week- link HERE. Remember when we could not wait until winter ended, and swore we would not complain about the heat- whatsoever??? Hahaha Well, it is not overly hot here, but the humidity- 65-100% it so bad! I used Ink Spots and daubered on colors onto the cardstock. 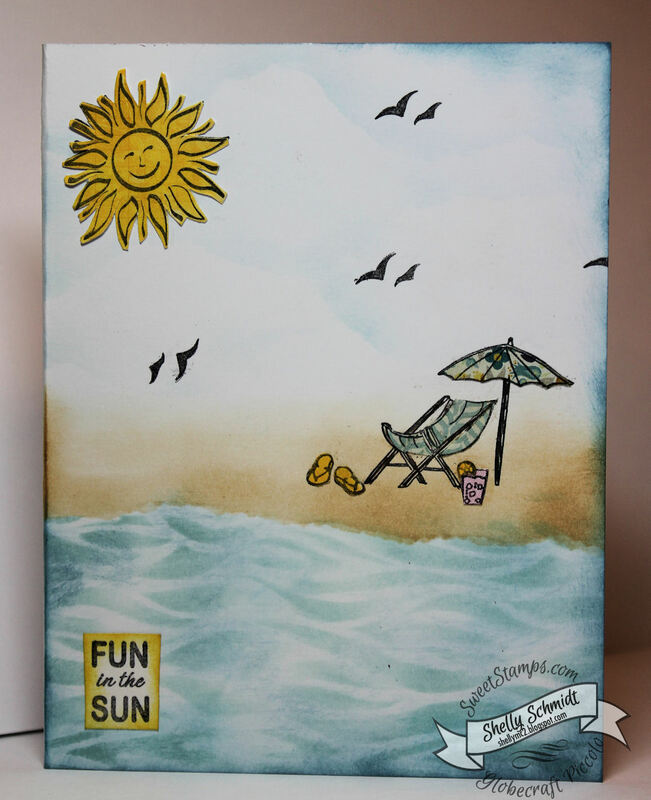 I started with a SweetStamps stencil AS36-011 Abstract (sneak peak- soon to be released! ), using the blues for the water- lightest to darkest (Reflecting Pool, then Tidal Wave then Nassau Blue). I sponged on the sand colors, then tore a piece of copy paper and sponged on- lightly- Tidal Wave ink for the sky. The Tuesday Throwdown post this week is Anything Goes! 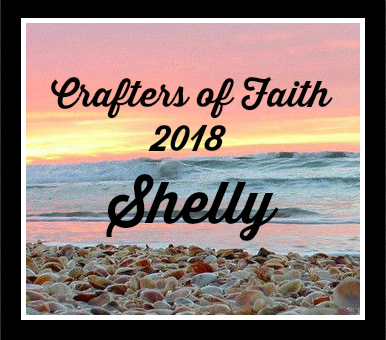 Our Sponsor is Craft Classes Online. Check out the website- there are a variety of classes offered. I tried a modified Z fold card for the 1st time. I keep seeing them and could not resist. 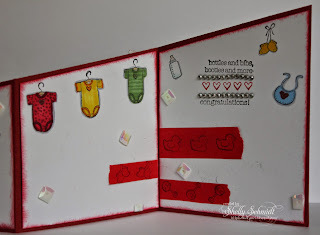 My Inspiration is from Deb Valder- measurements and a video- at this link. 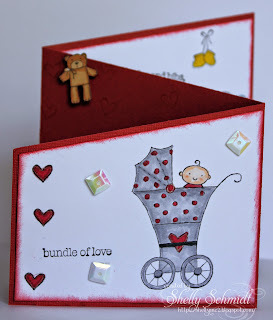 I played with a sweet image set from SU- and made a card for a new Grandma. Gender neutral, although the baby has already been born. 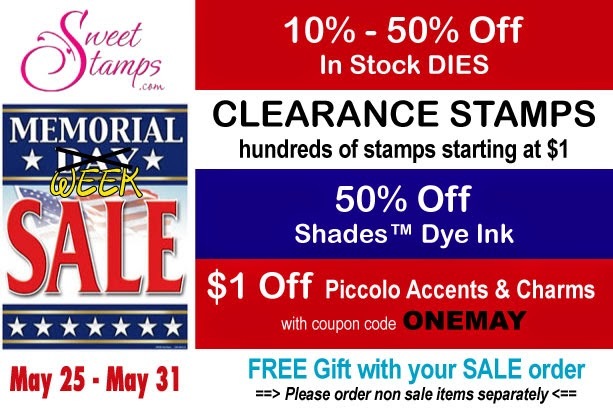 Sweet Stamps is having a sale for Memorial Day- some items are limited and are going first come, first serve- Check it out! 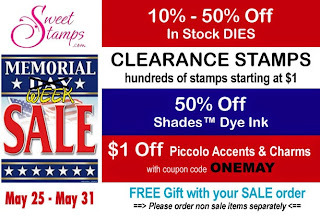 The SweetStamps challenge this week is to use your favorite color(s). Anyone who knows me could guess- Pink or Blue....so I used both. I want to describe how I made the background. I used Peerless Watercolors for the background- painted onto Watercolor Paper. I used Geranium Pink, Royal Crimson and Sky Blue. One it dried, I stamped a portion of the script in Nassau Blue on the background-here and there. I used the Rose flower from the stencil and added embossing paste, then added some texture paste around the flower thru drywall tape. I added some dots with White Dye ink and Nassau Blue. 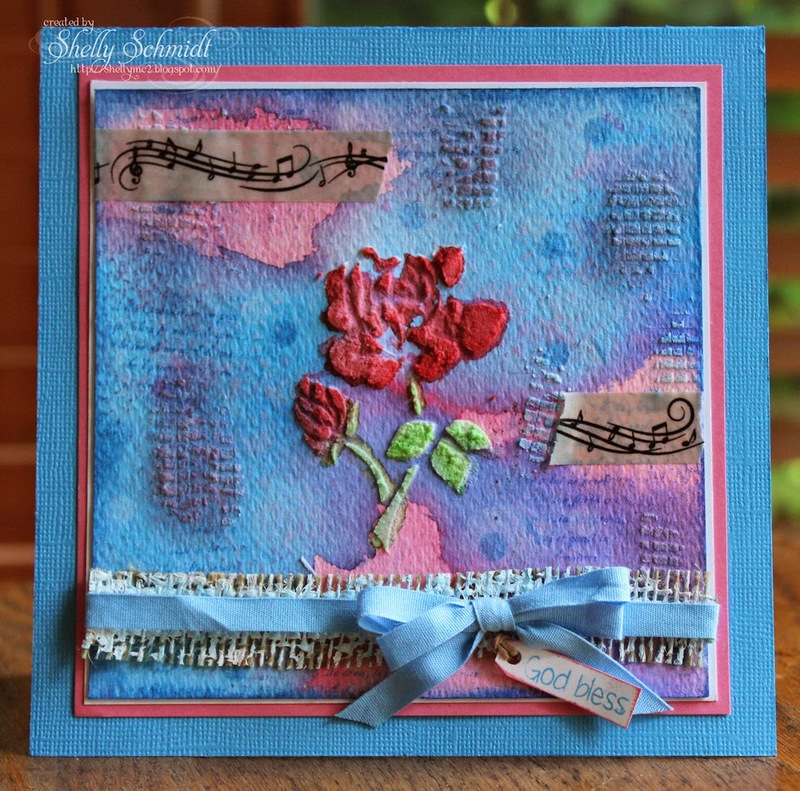 I daubered ink over the embossing paste with Pink and Blue inks. The rose was painted with Peerless watercolors. A little Washi tape, burlap with Gesso and Nassau Blue ink and some ribbon finish off the card. 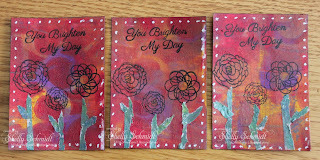 Items I used on the card from the SweetStamps store can be found in the Blog post HERE. Using another background from the Gelli plate today for the Sweet Stamps Things with Wings challenge this week. I embossed the Piccolo bird cage with Rust Enamel EP, and the Piccolo bird with Royal Sterling. The Piccolo butterflies are embossed in the centers with Rust, and I applied Honey Mustard 3D Enamel Gel to the wings, and sprinkled in a bit of the Royal Sterling EP, but just let it dry into the Enamel Gel. The flowers from the Spring Floral Stencil were done using Embossing Paste, and the greens are colored with Distress Markers, the flowers with acrylic paint. I added some doodling to finish off the card. 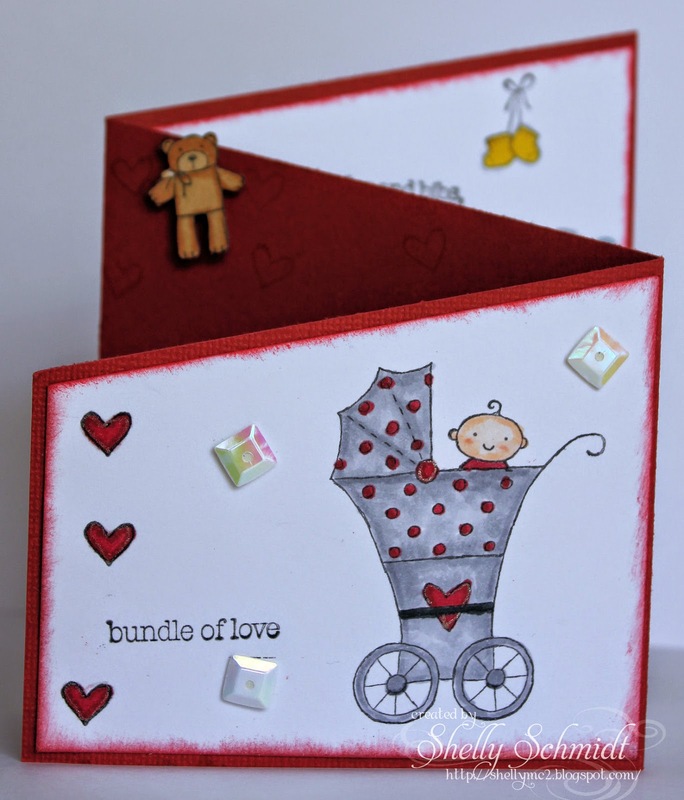 The edge of the cardstock was outlined with a Sakura Gelly Roll pen. It was very difficult to get a photo true to color. 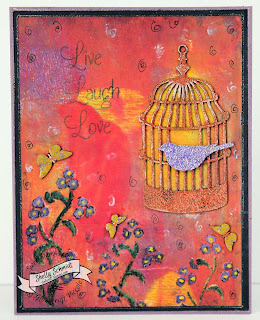 I had an ATC Swap this past weekend with the theme- use Deli paper. 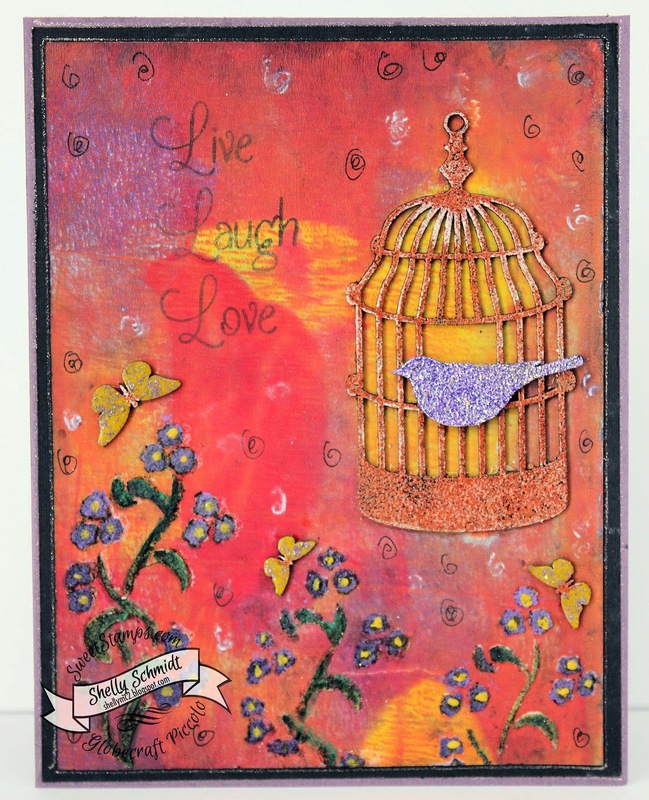 I experimented a bit using the Gelli plate and Sweet Stamps images and Stencils. 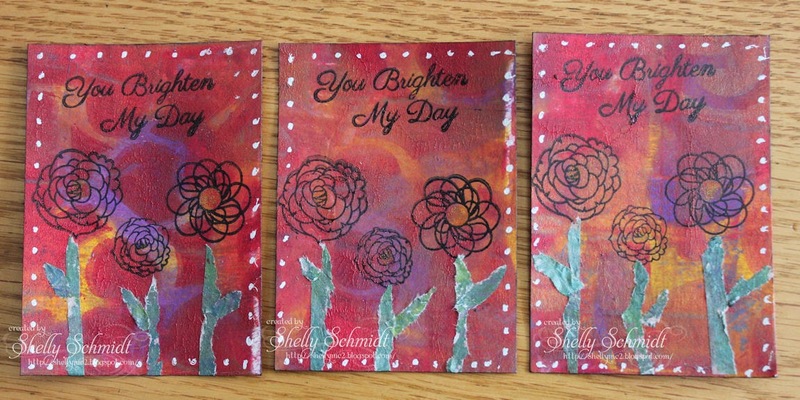 I made prints on cardstock and the Gelli Paper, and used the Delli paper as Faux Washi and as the die cut on the butterfly on the 1st two sets, and on the flower stems for the third set. I experimented on the 2nd set by adding white inks in various ways- one I added the ink directly thru the stencil, one I traced the stencil pattern in White ink pen and the third I added white paint with the tip of an eraser. I added the Tulip stencil 1st on the under layer. On the third set, I added shimmer with a Spica Pen- it is very hard to see in the picture, and dots with the White Paint Pen. Happy Mother's Day to all. I hope you all have a Blessed Weekend. From the very last Technique Junkies newsletter, Gelato Drips. So true, isn't it? 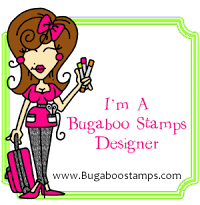 This fun image is also from Technique Junkies line of stamps. Free Smoochies for all you single ladies! I had fun making this card- and even though I missed the deadline over at the Outlawz Progressive Freebies, wanted to post it anyway. 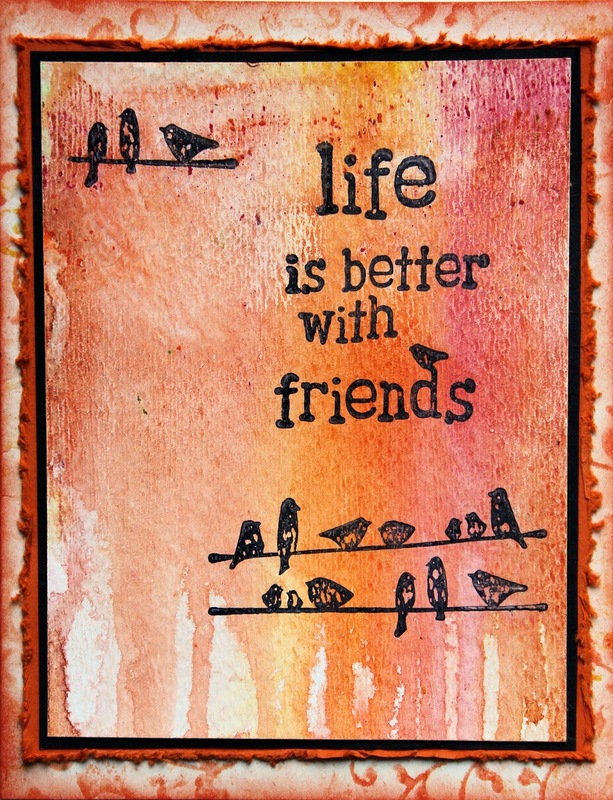 I just ripped the blue and yellow paper, and added a few die cuts by Memory Box...and a sentiment from Create with TLC. 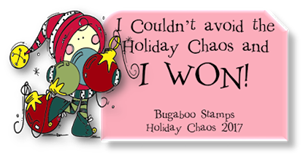 The image is from Encino Digi stamps-colored with Copics and cut out with a Memory Box die. I added the ripples in the water with a white gel pen.